An innovation to make a day at the races even more enjoyable will be tried at this year’s Bingara Races, on Saturday, March 9. This year, the Jockey Club decided to add something a little different and will be having a Marquee. The Club has arranged for renowned local chef, Laura Swan, to bring her amazing culinary skills to the inaugural marquee experience. She will be serving a delicious lunch with a focus on locally produced and sourced foods to tempt race-goers. The Committee is hoping for rain prior to the races to help the track and bring some much-needed cooler weather. The usual five race event will be held, with the Bingara Cup being the main race. 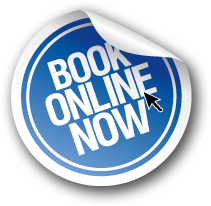 Full bar facilities will be there, as well as a strong bookmakers ring. Fashions on the Field has become a tradition at many country race meetings, and Bingara is no exception. Race-goers chosen by the judges are in the running to win significant prizes. 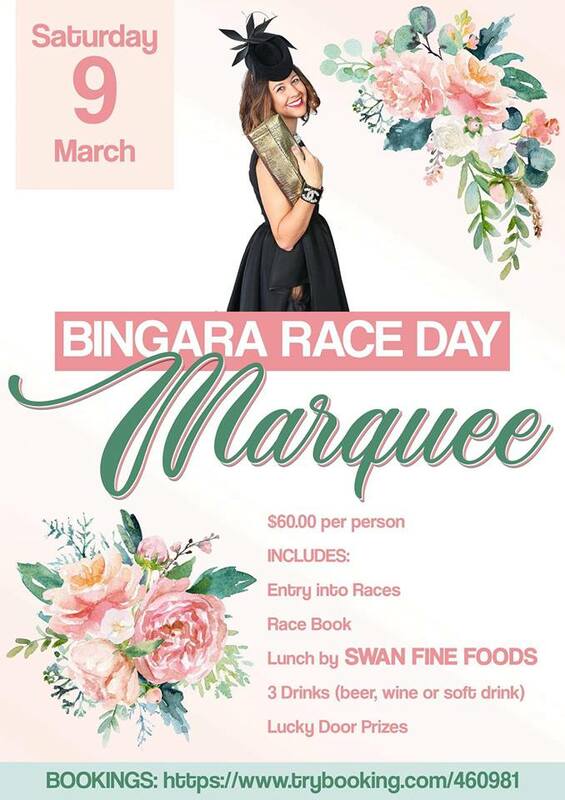 When combined, the ambience of the marquee, the beautiful race day fashions, lucky door prizes and the fabulous atmosphere, patrons can look forward to a wonderful autumn race day at the 2019 Bingara races. The Bingara Race Day Marquee is $60 per person which includes: entry into the racecourse, a race book, lunch by Swan Fine Foods, three drinks (beer, wine or soft drink) and lucky door prize. The Bingara Cup Calcutta will be at the Sportsman’s Hotel on Friday, March 8, the night before the races. Come along and enjoy Bingara Race Day with a difference in 2019 as we bring you a special marquee experience trackside. Not only we will you receive your entry and race book but you’ll enjoy delicious food from Swan Fine Foods, drinks, lucky door prizes and even some other trackside fun.